DNA is a self-assembled, double stranded natural molecule that can chelate and align nickel ions between its base pairs. The fabrication of a DNA-guided nickel ion chain (Ni-DNA) device was successful, as indicated by the conducting currents exhibiting a Ni ion redox reaction-driven negative differential resistance effect, a property unique to mem-elements (1). The redox state of nickel ions in the Ni-DNA device is programmable by applying an external bias with different polarities and writing times (2). The multiple states of Ni-DNA-based memristive and memcapacitive systems were characterized (3). 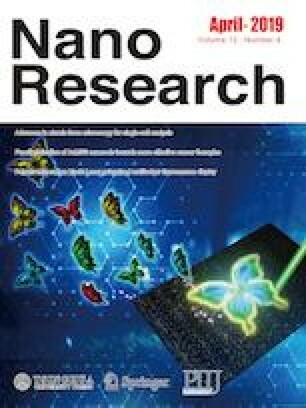 As such, the development of Ni-DNA nanowire device-based circuits in the near future is proposed. Pang-Chia Chang and Chia-Yu Chang contributed equally to this work. Ms. Ya-Hui Lin is acknowledged herein for preparing the DNA samples used in this study.